Are you ready for Embellishment Tuesday? 🙂 Today I would like to introduce you a series of new Christmas Parisian paper Doily – October Afternoon – Holiday Style! 😉 This doilies enable you to make some pretty stuff for this year Christmas!It’s perfect for theme party decoration, pretty packing, handmade crafts and scrapbook or card making etc. Each week a different set of christmas doilies will be shown on the blog for sale. Are you ready for Embellishment Tuesday? 🙂 Today I would like to introduce you a series of new Christmas Parisian paper Doily – Crate paper Peppermint! 😉 This doilies enable you to make some pretty stuff for this year Christmas!It’s perfect for theme party decoration, pretty packing, handmade crafts and scrapbook or card making etc. 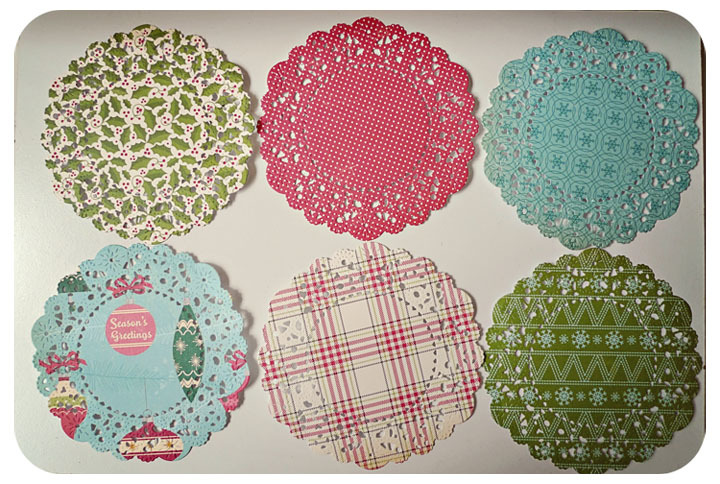 Each week a different set of christmas doilies will be shown on the blog for sale. Are you ready for Embellishment Tuesday? 🙂 Today I would like to introduce you a series of new Christmas Parisian paper Doily Part 3! 😉 This doilies enable you to make some pretty stuff for this year Christmas!It’s perfect for theme party decoration, pretty packing, handmade crafts and scrapbook or card making etc. Each week a different set of christmas doilies will be shown on the blog for sale. Are you ready for Embellishment Tuesday? 🙂 Today I would like to introduce you a series of new Christmas Parisian paper Doily Part 2! 😉 This doilies enable you to make some pretty stuff for this year Christmas!It’s perfect for theme party decoration, pretty packing, handmade crafts and scrapbook or card making etc. Each week a different set of christmas doilies will be shown on the blog for sale. Are you ready for Embellishment Tuesday? 🙂 Today I would like to introduce you a series of new Christmas Parisian paper Doily! 😉 This doilies enable you to make some pretty stuff for this year Christmas!It’s perfect for theme party decoration, pretty packing, handmade crafts and scrapbook or card making etc. Each week a different set of christmas doilies will be shown on the blog for sale. Hello I am back with another post on Pack-It Thurday! 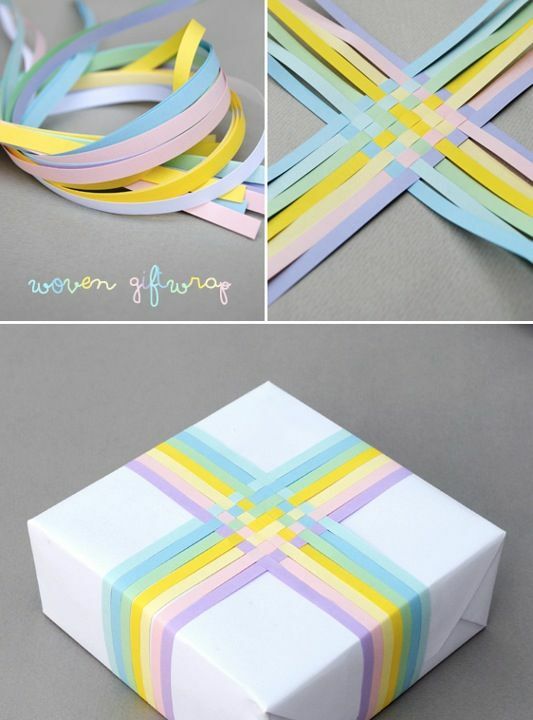 Today post is on how you can create this cute diy woven gift wrapping with a few stripe of paper. You can find more information here . Hope you can share them with me too if you have more ideas or ways of using them! I would love to hear them. Do link me up and can’t wait to see what you have come up with! Hope you like what I have shared with you.